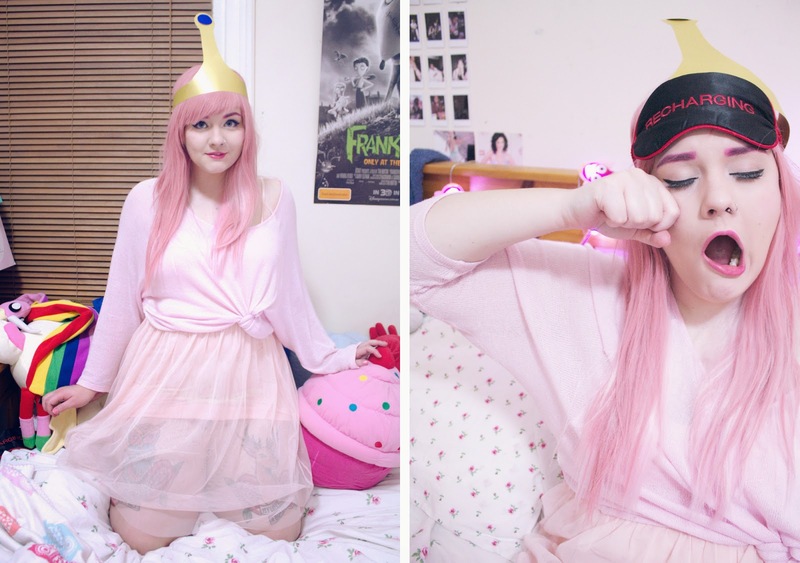 A few weeks ago I decided that it would be fun to do a Princess Bubblegum pyjama closet cosplay, and I was really happy with how it turned out! This is how I think PB would look on a Friday night after a long week of science experiments and diplomatic duties, when she settles down to watch a few cartoons with a big mug of hot chocolate. 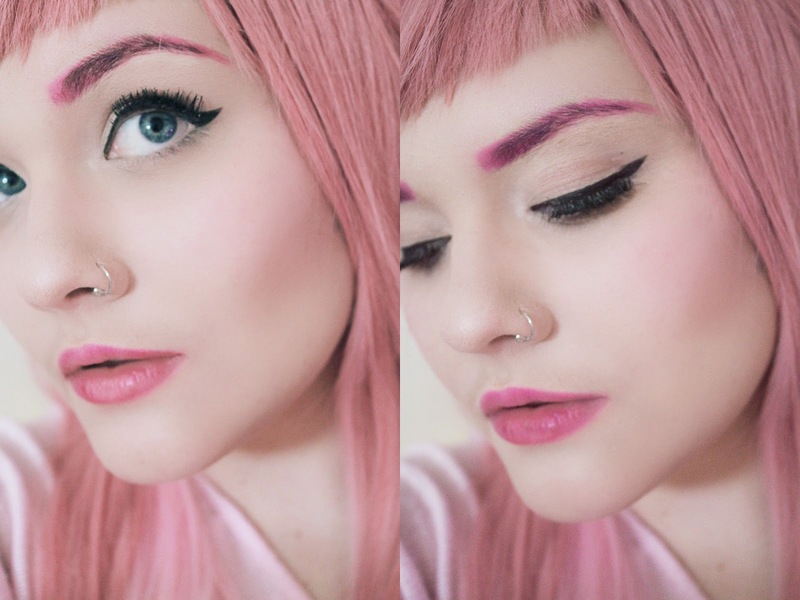 ♡ Katy Perry/Eylure false eyelashes in "oh honey!" I'm also starting to think about what I might do in the way of a Halloween costume this year! I have a couple of ideas, but nothing I've fully settled on yet, I don't even know if I'll be doing anything yet lol. Have any of you guys started planning your Halloween costumes yet?